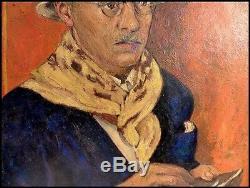 Portrait of the painter pierre bonnard (1867-1947) by gisèle belleud born in 1921 oil on panel signed and dated: 1944. 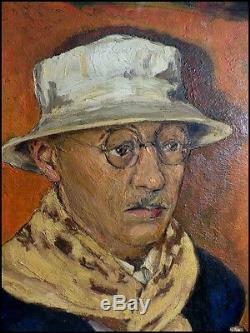 Here is a remarkable portrait of the painter pierre bonnard aged 77 by gisèle belleud who was for the painter, his model and his confidante, but also his pupil. 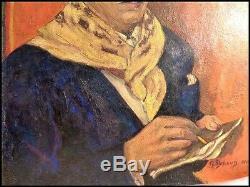 This is an oil painting on wood signed and dated lower right. Upper part of the panel. The middle of the composition. Lower part of the painting. 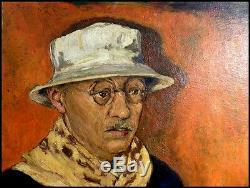 Pierre Bonnard, born on October 3, 1867 in fontenay-aux-roses and died January 23, 1947 in cannet. 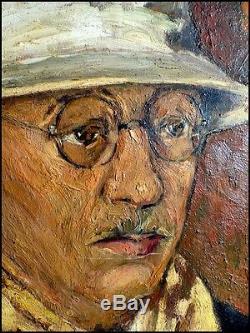 Detail of the painter's gaze. The artist's hands by gisèle belleud born in cannet. 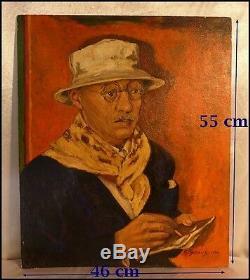 The dog lover painter with his favorite hat. Gisèle Belleud is a French painter and lithographer born in cannet in 1921. Her life is marked by the links that she weaves with bonnard stone so that she is just 16 years old. 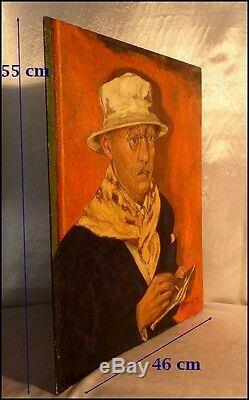 From 1938 to 1947, she meets almost daily bonnard stone. She is not only her model and her confidante, but also her pupil. 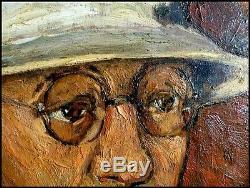 Bonnard allows the young girl to find herself as a quartist and opens the ways of color and modeling. Gisèle Belleud is 26 years old at her death. She has become a young designer with a determined personality, who uses the lessons of her master to create an original and personal work marked by subtle colors. 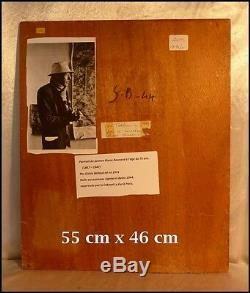 Verso of the painting with inscriptions and a reproduction of photography. 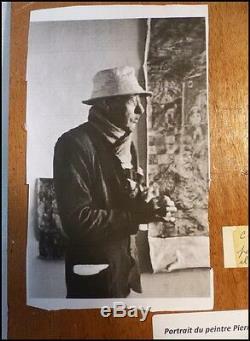 A photographic reproduction shows the painter in a pose similar to that of the portrait of Gisèle Belleud. Handwritten note on the back. An inspired work, unique, touching and precious. 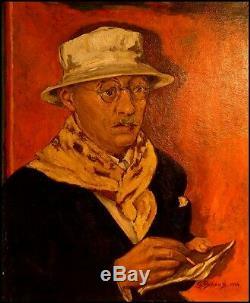 The item "portrait of the painter pierre bonnard by gisèle belleud 1944 oil on panel" is on sale since Monday, January 15, 2018. It is in the category "art, antiquities \ art of the nineteenth and before \ paintings, enamels". The seller is "m-navaron" and is located at / down and lezat. This item can be delivered anywhere in the world. artistic current: french school / gisèle belleud 1944.